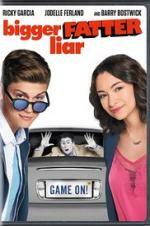 Buy or Rent Bigger Fatter Liar (2017) Movie DVD & BluRay Online! Movie Plot: Kevin Shepard is a tech-savvy young genius who uses his intelligence to slack off. When greedy video game executive Alan Wolf gets a hold of his ideas for a video game, Kevin and his best friend Becca set off for Seattle to make Wolf’s life miserable through a series of pranks.